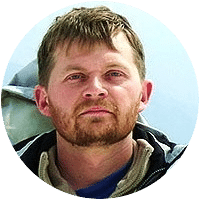 As you scramble your way up the side of the mountain, slipping and sliding over boulders, you may be looking around at other hikers who seem to take the mountain with ease. What do they have that you don’t? The simple solution to hike and scramble up mountains is to purchase yourself some of the best approach shoes. An approach shoe is a hybrid between the classic hiking boot and the rubber climbing shoes needed to scale big walls. If you are a climber, then you know the idea of hiking in a climbing shoe is both painful and potentially impossible. Climbing shoes are designed to fit tight, arch your foot, and are covered in rubber to help you grip tiny foot holds, and overall, are not very comfortable. If you are thinking this sounds nothing like a hiking shoe, then you are right. 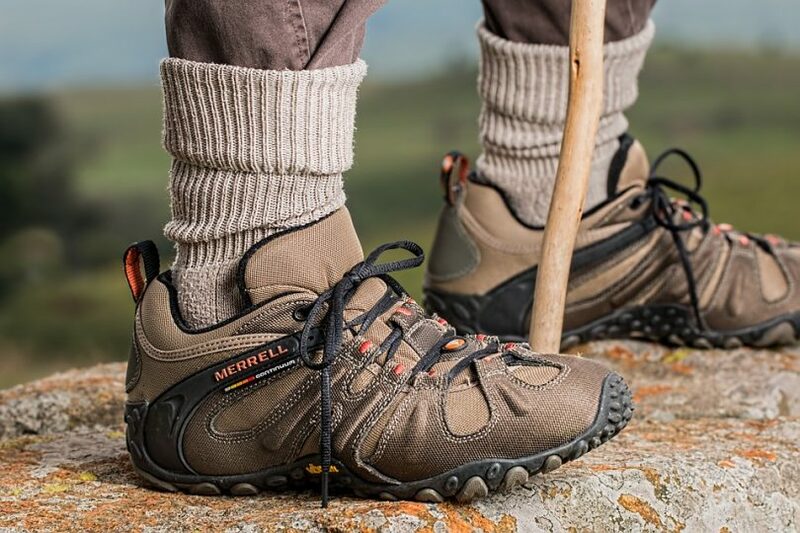 The classic design for hiking shoes tends to be heavier and sturdier in order to handle rugged terrain and protect your ankles in the process. You can tighten and loosen the boots depending on your travel intention and the soles themselves are very thick and sturdy with hard rubber. When you plan on going over rocky terrain and are afraid of taking a hard fall, then the approach shoe can be your best friend. Climbers and hikers demand a lot out of their footwear to keep them both safe and comfortable, as you go further out to top level pitches and take on more technical climbs you are going to want a shoe that can get you there without expending all of your energy. In this article, we will show you when and how to pick the best approach shoe for your travels. What Am I Approaching and How? The name comes from the hike and scramble associated with getting to your favorite outdoor climbs. This footwear is specifically designed to provide you safety on getting to your final climb destination by creating decent amounts of friction to get you over slabs, edges, and small walls. 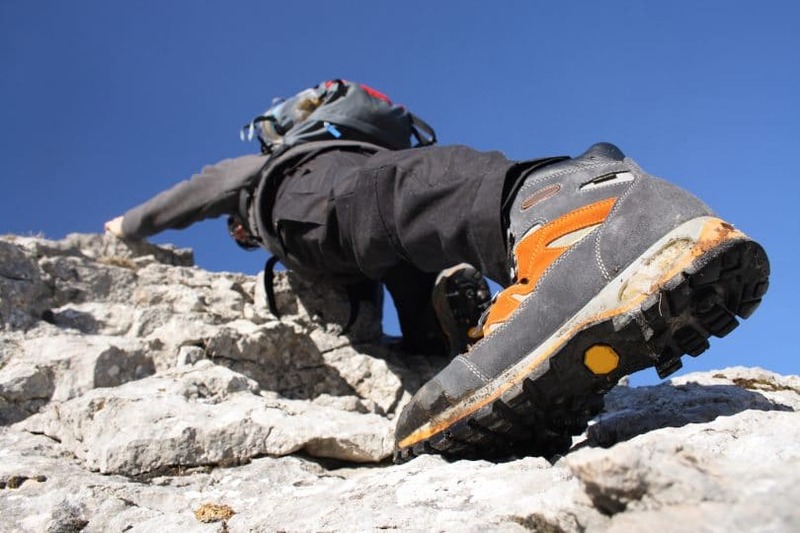 Outdoor climbing shoes are not ideal for the trek out to locations as they are extremely tight and often are uncomfortable to stand in much less to do a 5 kilometer or more scramble. However taking a fall or even a slip on slabs on your way out can sometimes be a deadly mistake, in these instances the hybrid shoe with its rubber sole specifically around the toe will help you lock into smaller wall cracks and give you support on grainy rock formations. You are already carrying the bulk of your climbing gear on your back, and will probably have your trusty climbing shoes strapped in, instead of risking the trek with heavy boots these lighter and durable cousins of the hiking boot will help you lock in on slabs. The shoes are not only for the approach but for the often treacherous and slippery descent back to your car. As we mentioned early, the rubber on an approach shoe is different to that on a hiking boot or a running shoe and more akin to it’s climbing shoe counterpart. The softer rubber creates more of a sticky sensation whilst traversing up smooth slabs or boulders. Instead of sliding down a surface on your ascent due to lack of grip this rubber will grip you in place without sacrificing durability. Similar to the classic climbing shoes the fit in the toe is going to be relatively tight with less movement than your hiking shoe. You will need to make a compromise on feel when you are purchasing an approach shoe. With all things the support your adventures, the fit, and feel will depend solely on your priorities. If you are traveling long distances for your climb with slab scrambles in between try going a little looser in the fit, you will be more comfortable. If it’s mostly bouldering your way to the climb with short distance then go ahead and get more of a tight fit on your shoe like the climbing shoes you plan on wearing. When you try them on, good forefoot fits will be stiff enough for you to edge along slabs, and crawl up to the mountains. Even the smallest pieces on the way up are now accessible for you to grip. Your routes will become clear enough to work your way up. You may have found that you are often putting your feet in weird positions to try and get a leg up on the next pitch. Being able to move your foot around and to have total trust in the flexibility of your shoe will allow you to get up any tricky ascent. Look for ascent shoes that feature upper flexibility. These are features on the bottom of the shoe that allow you to get better grips on even the tiniest of rocks. They are normally located around the perimeter and the center of the shoe. Depending on what you need for your approach, having more lugs might be the best option for you. 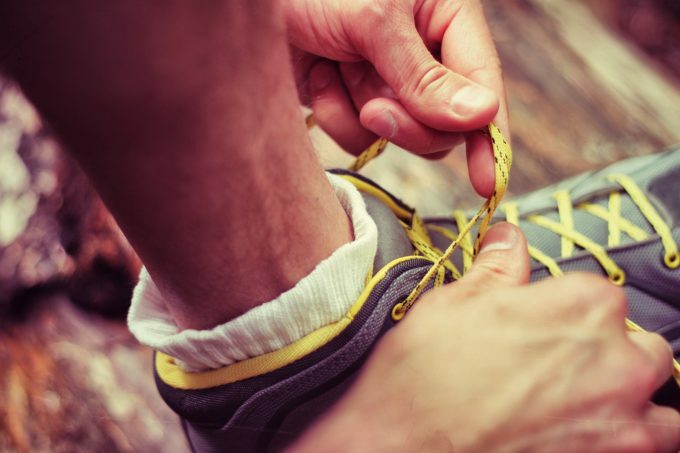 You might be worried about wearing such a shallow shoe on long hikes because your ankle is not as easily protected as it would be in sturdy hiking shoes. While this is true, there are mid cut approach shoes that you can try that allow for ankle stability, especially those who are doing long-term climbs. The longer the climb and the more gear you are carrying means you may want to sacrifice some traction for ankle stability and comfort. With multi-day approaches you will most likely be bringing specialty climbing shoes for the actual climb itself, so if you really get into a sketchy situation then you can easily swap out. Useful tip: Weak ankles? No problem. 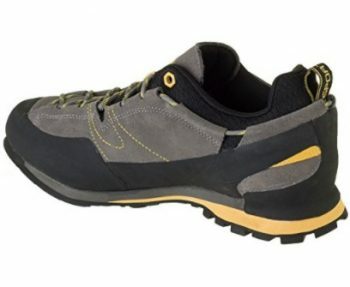 Most hikers and scramblers who wear approach shoes are often nervous at first to carry heavy gear while wearing shoes with virtually no ankle support. Each season you add a bit more weight to train your ankles, with the appropriate amount of exercise you can create strong ankles. A good approach shoe is going to come down to the type of trip you are planning on. For short scrambles, you are going to want a tight fit, plenty of rubber and lugs, and to be light weight for the hike in. However, with ankle injuries, or multi-day trips with large bags then looking for hybrids that lend more to the hiking boot might be for the best. Some approach shoes are designed for dry conditions with lots of slabs as you climb up and over treacherous terrain, while others that are more akin to the hiking boot are meant to trek through mud safely. 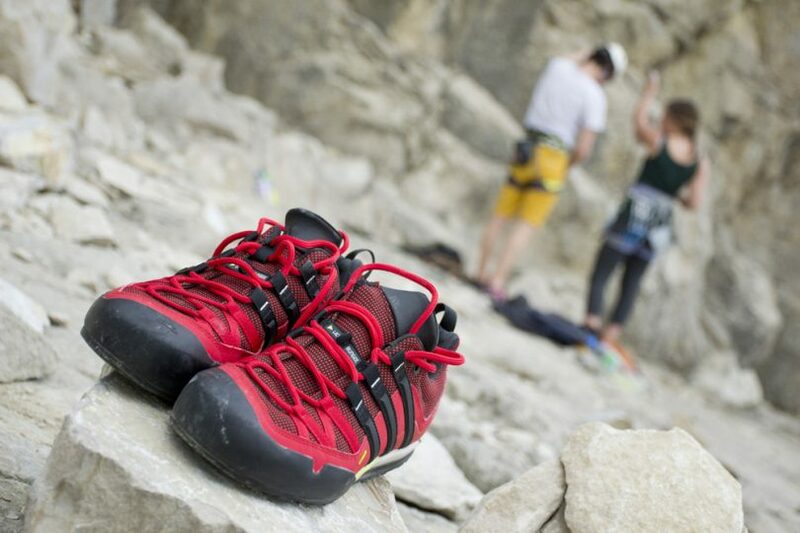 If you are a climber than you know the sport comes with quite a bit of gear, adding these shoes to your list will only make your trip more enjoyable. If you have already started shopping for your shoes then you may notice that there are a lot of options ranging in different prices for you to choose from. Below we have given you our top picks for the special features and reviews to make shopping even easier! Selecting a good approach shoe will depend on your trip, but these products are a great start. Specific Features: These leather shoes will provide you with the rubber sole you need for your next approach trip. It has a specialty Stealth C4 dotty which means you are going to grip even the tiniest of grooves in rock slabs. You will also appreciate its specialty beveled toe that is similar to the ones you will find on a decent climbing shoe. Best use: Hiking, bouldering, and climb approach trips. This Guide Tennie shoes gives you the best of your low weight running shoes and your precision climbing shoes for the trek to the next big climb. 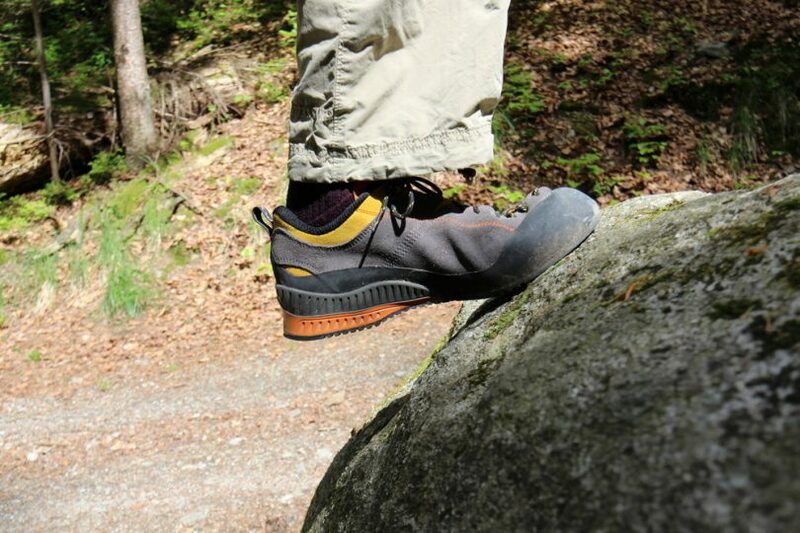 Its rubber sole is both flexible and edged to give you a leg up on slippery rocks. The midsole and upper footing are both flexible and durable for an ultra comfortable fit without sacrificing your ability to grip the rocks on the way up to your climb. A not about the sole, it is made with the same sticky rubber you will find on a climbing shoe, so if your goal is to scramble along rocks then you will have a secure fit. So the downside with these lightweight and flexible shoe? Because they are decked out with leather you will not be able to get into very wet areas, do not fully submerge these shoes. While customers have taken them into muddy terrains and are confident in their ability to stick, avoid stepping into too much water and mud. The other downside is that these are modeled after tennis shoes not hiking shoes so they won’t be as comfortable on your long hiking trips and the ankle support is not as good. Specific Features: The Salewa Mountain brand offers a more technical hiking shoe that is created for adjustability, anti-slip, and an incredibly sturdy toe. It is made with both leather and fabric seamlessly stitched and features a synthetic sole. For rock crawling, you will enjoy the solid tred and the GORETEX lined shoe. 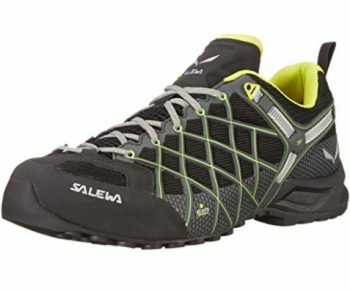 If you were looking for a sturdy shoe to get you through a long multi-day hike without adding too much weight, then Salewa Mountain Trainer is perfect for your trip. 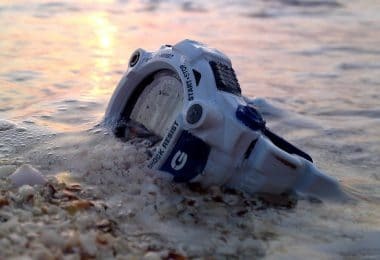 They have a sturdy tread that will help you tackle tricky rock areas, but what they are really meant for is trudging through any terrain, wet or dry. The GORTEX material is going to keep moisture out so you can stomp through mud and puddles without sacrificing too much traction. It has a sturdy sole to keep your footing straight forward and slip proof. One thing to note about this shoe is its sizing if you are ordering it online without first trying it on know that they run up to a ½ size smaller than normal. That being said the company is known for its excellent customer care service. Some customers have also opted to buy their own insoles as they lacked arch support and breathability. Specific Features: This shoe features a Vibram sole for versatility and sturdy sure footing along uneven terrain. The shoes are created from a synthetic material for breathability and lined with a rubber toe. They are extremely lightweight and water-resistant. 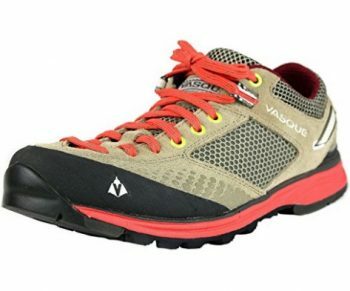 Vasque designed Grand Traverse Shoes to give you the speed of a running shoe and the durability and tread of a climbing shoe. 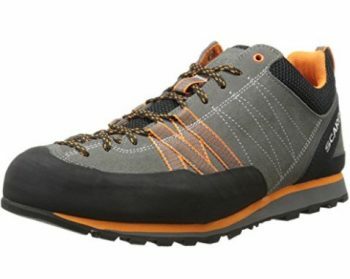 If you are looking to make a quick approach on a well-marked trail with a few scary slab areas, then these shoes will easily get you up and bake safely. This particular shoe is meant for light hikes and running on terrain that may be slippery. With plenty of traction and a tight fit, you can be sure that you won’t be sliding down hills by accident. After a few hours of hiking, you may be wishing for a thicker sole. If you are planning a multi-day hike that would require walking around on rocky terrain these might not be the shoes for you. The uneven terrain may bother those with more sensitive feet. As with most specialty shoes, the size won’t be as your normal shoe, and it is suggested to go half a size to a full size up when ordering. Specific Features: With its specialty Vibram footing this shoe features the stickiest rubber compound you can find. The fully coated rubber toe and lining will not only keep your footing locked in place it is also water resistant. Finally enjoy it’s extremely cushioned insole with 2mm worth of soft polypropylene. The shoes upper footing is all leather for durability and comfortability. 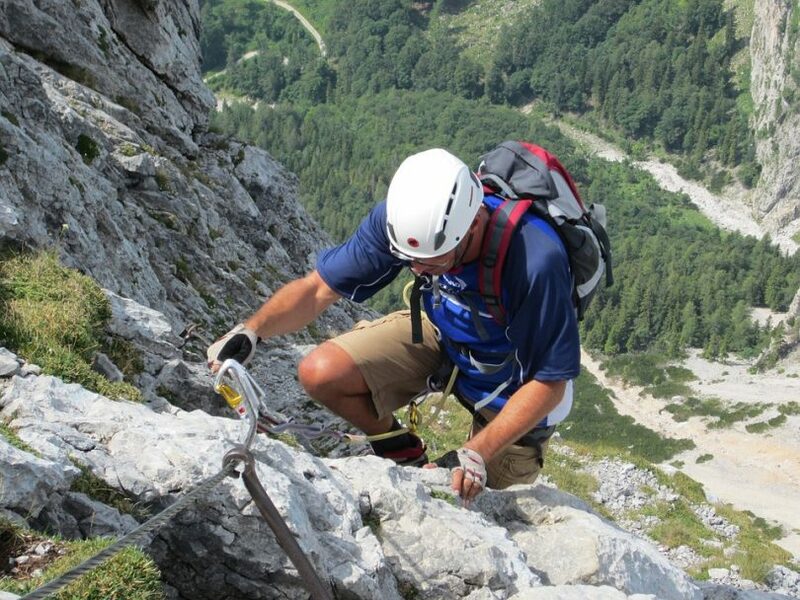 Best use: Approach and technical hiking. Customers love La Sportiva Boulder shoes because they create an industry standard with their leather upper footing and rubber linings. Not only will you get the friction support you need for a summer approach hike, you will also get the waterproof resistance needed in mud, snow, and rain. These shoes will last you years and are perfect for a heavier duty hike. The downside to these particular shoes is the way they lace. The laces go around the ankle for additional support but because of this, your laces wear down rather quickly due to the strain. If you don’t mind swapping laces every now and then and plan on doing technical hikes in all weather than these are perfect for you. Enjoy walking along slanted slabs without fear of slipping and falling. Specific Features: Fully coated and created with GORETEX materials this seamless shoe will provide you with excellent water-proof hiking. It is both lightweight and incorporates a sole made from Vibram Tech materials that after optimal traction for scrambling over rocks. 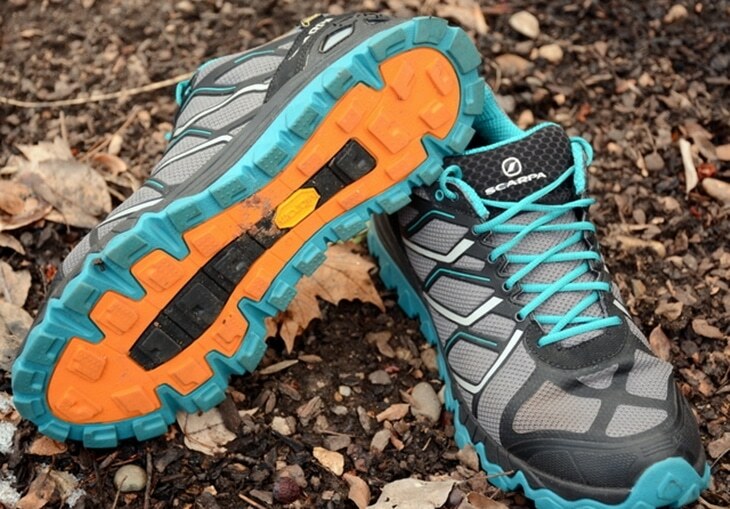 The Wildfire also guarantees comfort and going blister free on your hikes. Salewa Wildfire GTX has been created for the ultimate comfort as you make your way across slippery technical hiking. Salewa takes extra care to ensure breathability and water resistance in it’s lining without sacrificing the treads ability to give you sure footing regardless of what type of terrain you are tackling. What we love about these shoes is that they are both lightweight and supportive. 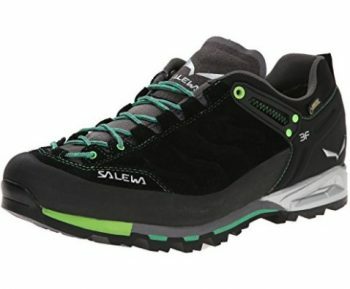 If you are worried about an injured ankle than the Salewa 3F System will help create a comfortable and safe experience. They are thin enough to feel the terrain you are traversing but thick enough to be comfortable. Some customers complain that the shoes are not quite as durable, and will develop problems after 4 months of use. However, the company provides returns and exchanges for any defective problems, including durability issues. Note that these shoes fit like a climbing shoe and run tight, especially through the toes. Specific Features: These hiking shoes are created using leather and textiles with a sticky rubber sole. What sets them apart is the ability to find the perfect fit with laces that run all the way down to the toe for the best feel. Being both lightweight and durable the shoes feature a full rubber toe and excellent tread to make it up any terrain. The brand Scarpa is well known amongst climbers for their traditional Italian climbing shoes and its high-quality products. 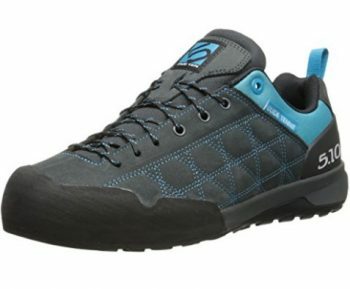 With laces that extend down to the toe on Scarpa Crux Shoes, Scarpa has incorporated the tight fit feel that you would get from purchasing their climbing shoes. They feature forefoot webbing for ultimate foot placement precision and use the classic Vibram soles that provide you with the stickiest of rubber for grip. With precise fits and leather finish, these shoes are both attractive and durable. While this shoe is a hybrid between hiking and climbing, they tend to lean more towards the climbing shoe in fit and feel. If you are not used to the tight toe fit of a climbing shoe than you may not enjoy the fit of these shoes. They are very narrow and do have adjustable toe laces, but even then these shoes are here to help you scramble, smear and boulder your way up to your climb. 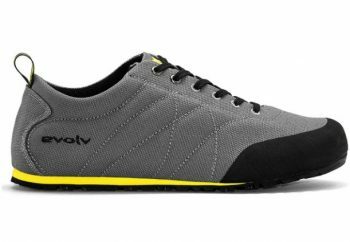 Specific Features: Evolv pushes the envelope on trail running shoes by featuring Tax rubber technology which creates the excellent edging shoes regardless of rock and temperature. A cross between a running shoe and a climbing shoe they are incredibly light weight created from cotton and rubber and are lined with microfiber memory foam for both comfort and sweat wicking. Evolv Cruzer Psyche are the ultimate shoe for the climber who is looking to minimalize their weight and carry a shoe that will help them with the approach and the climb. Easy to clip to your harness as you make your way up your multi-pitch these shoes can also be worn without tying them in so you can slip them on for a decent. They have an excellent grip that hikers and climbers love for their technical approaches and they offer a perfect mixture of support toe and heel to make jagged rocks easier to cross. One potentially fatal flaw in these Evolv shoes is their seam along the heal. 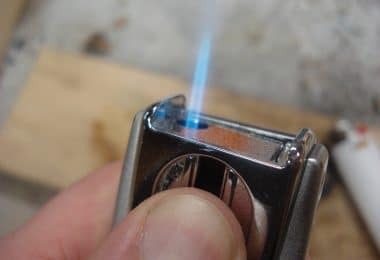 Many customers complain that the seam creates blisters along their upper heal and they need to have padded socks in order to avoid painful blisters. These shoes are also definitely not waterproof and the coloring on the shoes may be damaged in heavy rain or deep water. Now that you have seen a few of our favorite options you can approach your approach shoes with a little more confidence in what you are looking for. Before you buy always try the shoes on as specialty shoes like these do run in different sizes compared to your tennis shoes. The perfect fit will not only make your trip more comfortable but also keep you safe as you scramble your way over to your climb. Make sure to pick out the approach shoe that best fits your travels and adventures! Is there an approach shoe we missed or a tip for picking out your shoe that you want to share? Let us know in the comments below!